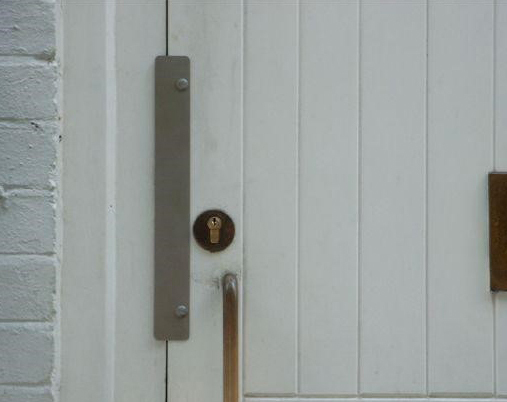 On most conventional inward opening doors, the latch and/or bolt are protected and concealed by the door frame, so that they cannot be tampered with or manipulated to open the door. 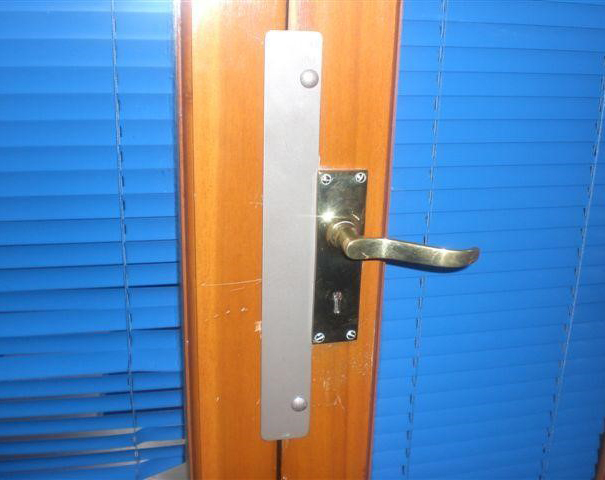 On outward opening, or non-rebated double doors these parts are often easily visible and accessable, significantly reducing the overall security. 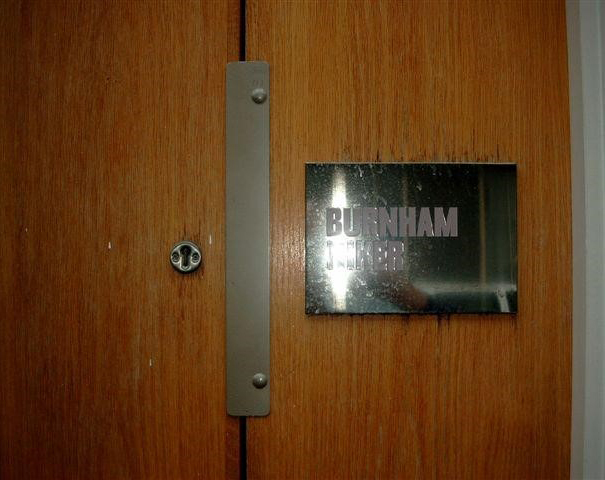 The anti-thrust plate is a powder coated steel protection plate, which is fixed to both the face and edge of the door (so that fixings are concealed when the door is closed) and prevents access to the latch or bolt. 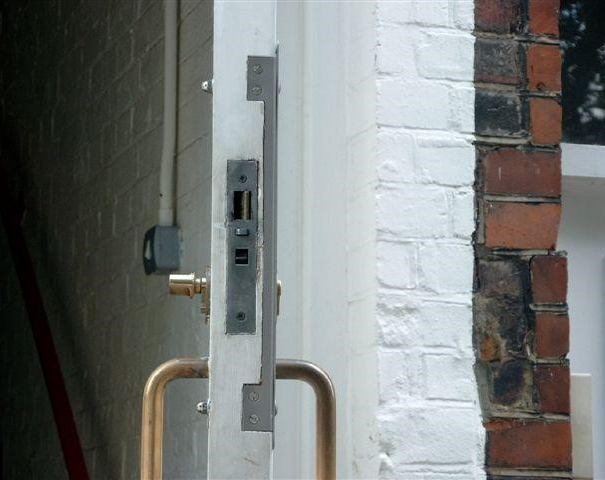 Our experienced london locksmiths have recently fitted this in Peckham SE15 and Queens Road SW8. 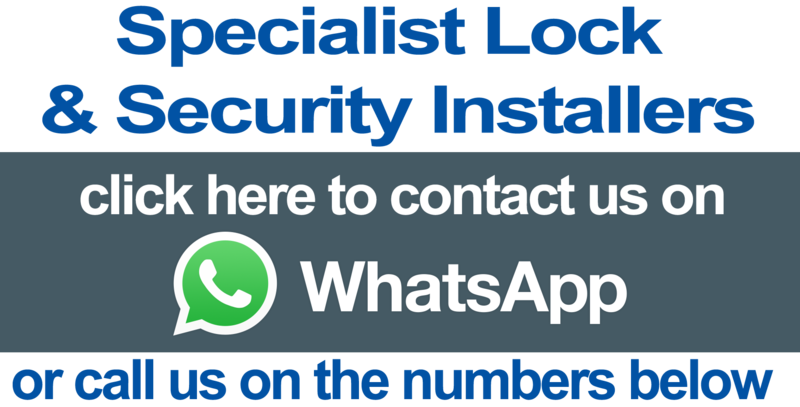 London Locksmith Service, serving London since 1982. One of our London Locksmith team will carry out this job for you anywhere in the London M25 area.